Welcome to Antarctica with the Worldly Nomads! A loud ‘ding dong’ bell noise wakes us from our slumber. 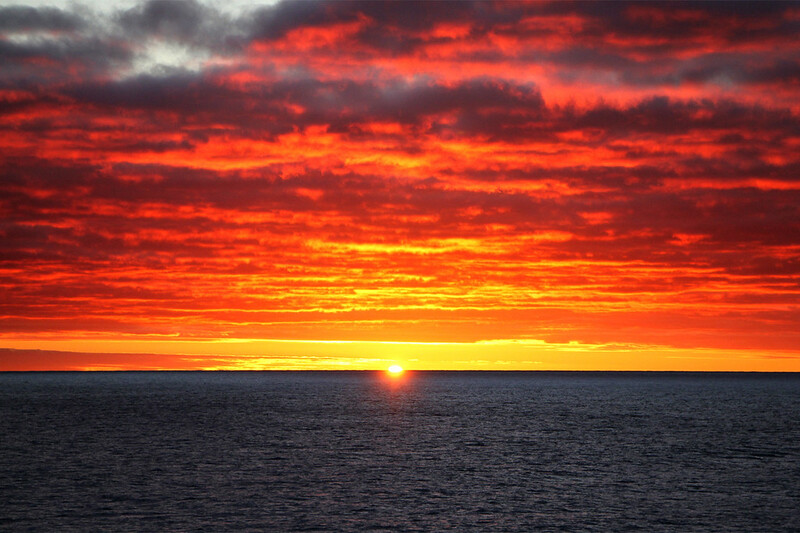 Two days earlier, we had said goodbye to ‘the world’, sailing east along the Beagle channel with Quark Expeditions, before turning south to cross the infamous Drake passage, one of the roughest seas and synonymous with sickness and general pain. We’d been lucky, and experienced the ‘Drake Lake’, one of those few opportunities a year where the water is flat and the crossing enjoyable. After a brilliant night’s sleep, we opened the curtains of our room, and had our first glimpse of the continent that few get a chance to see, Antarctica! As you can imagine, we were excited. 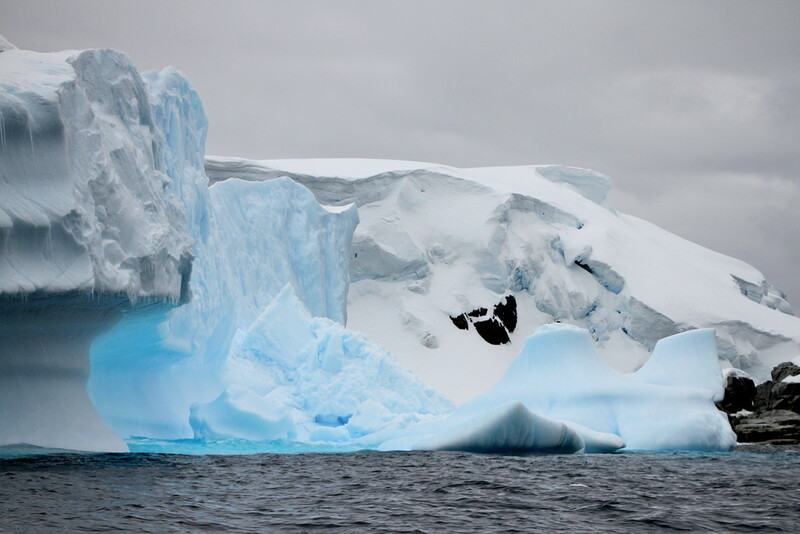 Antarctica was always going to be a highlight of our trip, and now it was upon us. We stood on the captain’s deck, as he passed his orders to his first mate, and we began to navigate alongside the continent through the many islands of the Antarctic Peninsula. For the next four days we would be negotiating countless enormous icebergs, glaciers and waterways, with our planned route changing depending on conditions. Channels that were open and ice free one week could be frozen and blocked the following week. We couldn’t believe it! Not only were we there early, we were also getting our first chance to get down low onto the water and cruise around the area in our zodiac! We almost exploded with excitement. Preparing for the harsh Antarctica climate, we went to our rooms to layer up! First up was a skin tight thermal layer on our legs and upper bodies. We looked like a pair of burglars at this point. Pull on a pair of thick socks and layer one was compete. After throwing on a second thermal layer on our upper bodies, it was time for the waterproof trousers. At this point we’re getting hot, we’re still in our room and not the bracing Antarctic winds, so the next stage was done at speed so we could get outside before melting! On went our boots, fleece and bright yellow Quark jacket, almost ready. All that remained to put on were our woolly hats, thick gloves, life jacket and sunglasses and we were ready for action. Making our way down to the loading area for the zodiacs, we waited as they were lowered from the upper decks onto the water. Climbing into the zodiac for the first time, we had a completely different perspective of Antarctica. We were now down low on the waters, weaving between huge icebergs the size of office buildings and much smaller clumps the size of cars. 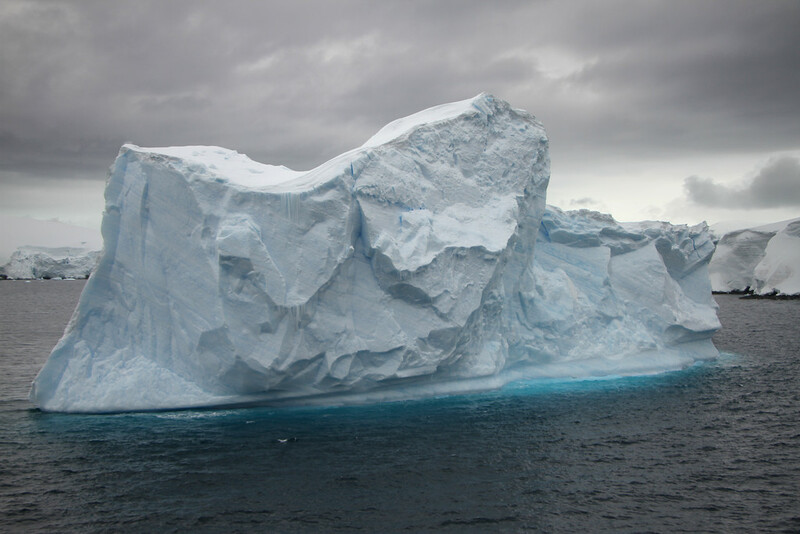 The water was a deep dark blue, punctuated by brilliant white icebergs above the waterline, and incredibly compressed, light blue ice below. Where previously we had looked down at the icebergs from the ship, we now craned our necks upwards. To say we were excited is a major understatement! We were zooming around the icy cold waters of Antarctica for the first time in a zodiac, it was the real beginning of our Antarctic adventure and we were loving it! We spent the first 45 minutes in search of wildlife and icebergs, spotting our first birds and penguins on rocky outcrops and icebergs. We were already over stimulated, when the radio of our zodiac driver crackled and burst into life. Humpback whales spotted off the coast, two zodiacs en route! Whales! This was incredibly lucky, as the main season for whales in Antarctica is between January and March when they complete the migration south. Needless to say, the zodiac swung around and we headed off into the open waters in search of our first whale sighting! We left the calm and tranquil waters of the peninsula and headed into choppy waters. After 15 minutes or so, way in the distance, we saw the distinctive spurt of water from a blowhole! Moving closer, our driver cut the engine, and we floated in the waters waiting for the whale to surface again. At this point we wondered what the ‘rules’ were in terms of getting close to whales. The general guidance with whales is that they have an incredible sense of hearing, so they know we are coming from way off. It was unlikely we would spook them, so long as we kept a safe distance they could come closer if they wanted. As as it turns out, they were just as interested in us as we were in them! 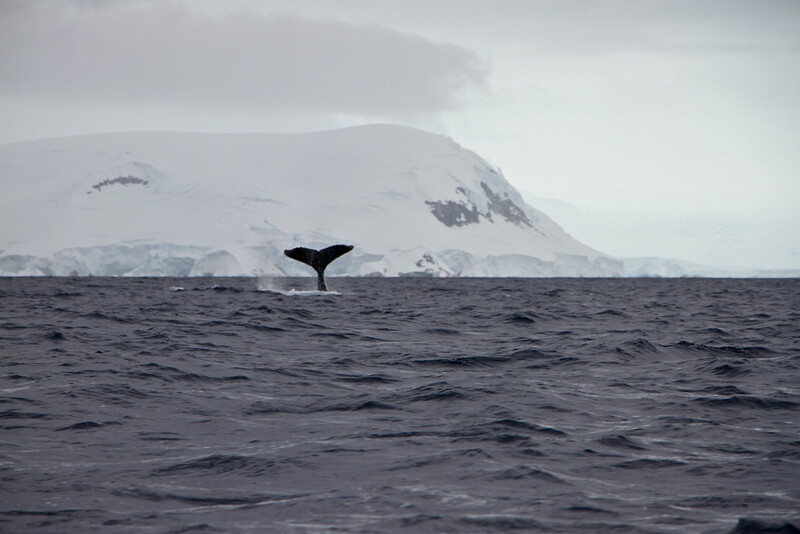 As we sat in the zodiac awaiting the next surfacing of the whale, we couldn’t quite believe we were bobbing about in Antarctica waiting for a whale to surface! And then, about 5 minutes later, we heard the distinctive ‘peugh’ of a blowhole spurt, followed by a spurt of water in the air! The whale was back, and only 150 metres away! We watched in awe as it blew water in the air, arched its back and disappeared for about 15 seconds before returning to the surface to repeat the blowhole spurt and arched back. On average, this would happen 5 or 6 times before the final flourish, the most exciting part of whale spotting. In order to dive, the whale would raise its body out of the water, perform a fluke of the tail from under the water, curling upwards into a perfectly vertical position before slipping back into the water! We both sat there with our mouths wide open! It was an incredible moment, and on our first zodiac cruise! At this point it was time to turn back, we’d taken a major detour to see the whale, and made our way back through very choppy waters to the peninsula. 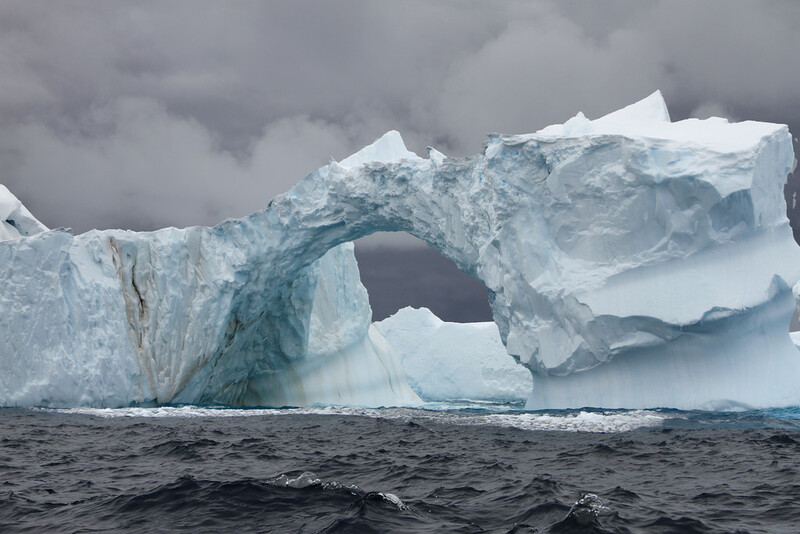 There was one last surprise though, an incredible ice arch that had formed from an iceberg! We zoomed passed just as the clouds came in and the water got very choppy! 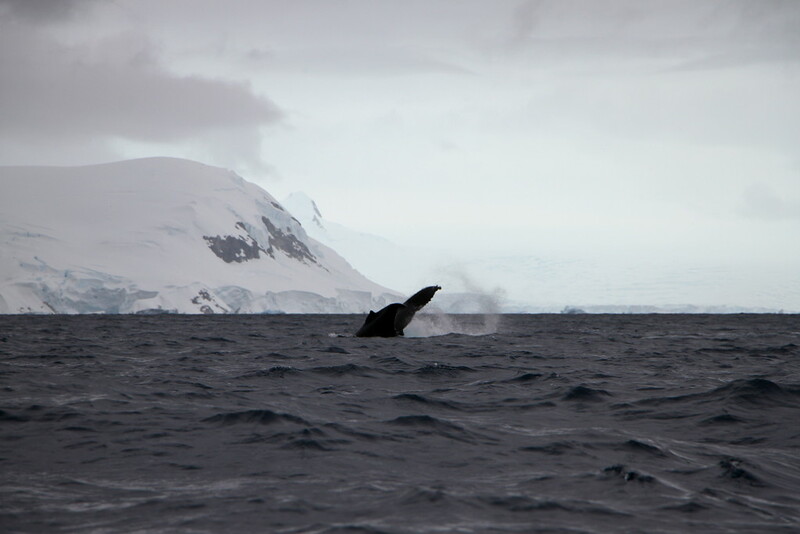 It had been an incredible couple of hours on our first zodiac cruise through Antarctica, and set the tone for the following four days of excursions where we would see many more icebergs, penguins, seals and, through sheer luck, more whales! Feeling inspired and want to know how to get to Antarctica? 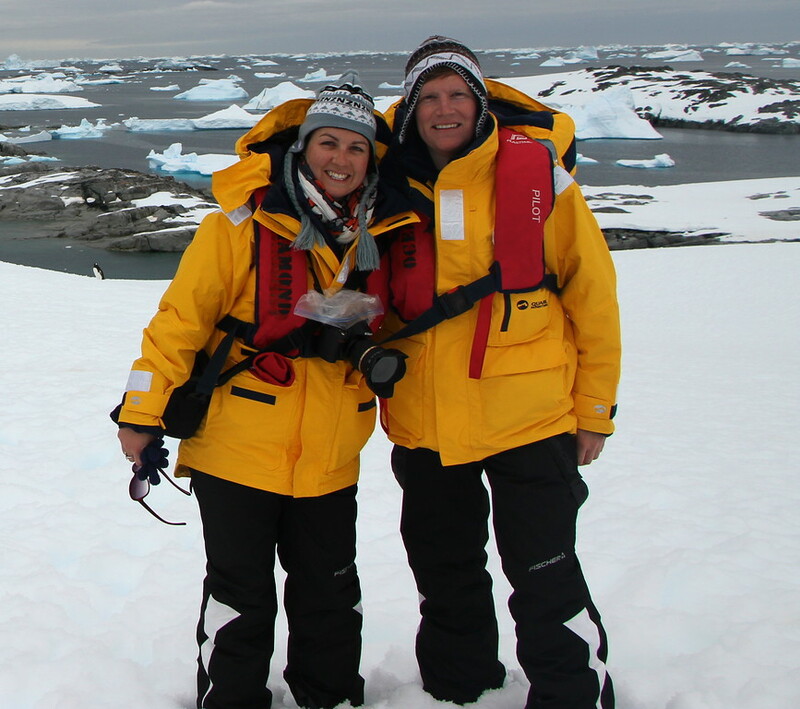 Check out the incredible Quark Expeditions! It just looks incredibly beautiful! I can’t get it our of my head now, I WILL go to Antarctica! Fantastic Maddie! It is beautiful and if you can, you must go! We still think about it now, will take a while to get over it! Sounds like you had a fabulous trip! Which ship were you on, and did you get down to the Lemaire Channel? It was a brilliant trip Charles! 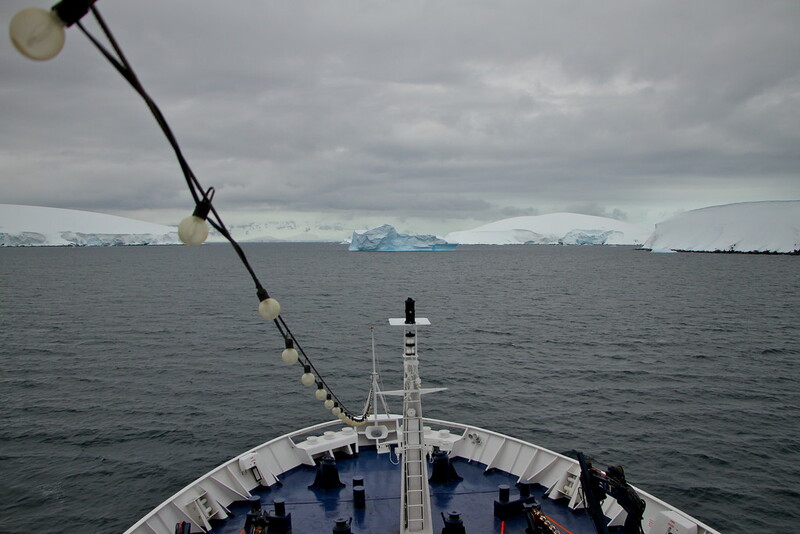 We were on the Ocean Diamond ship, and yes we made it down the Lemaire Channel!